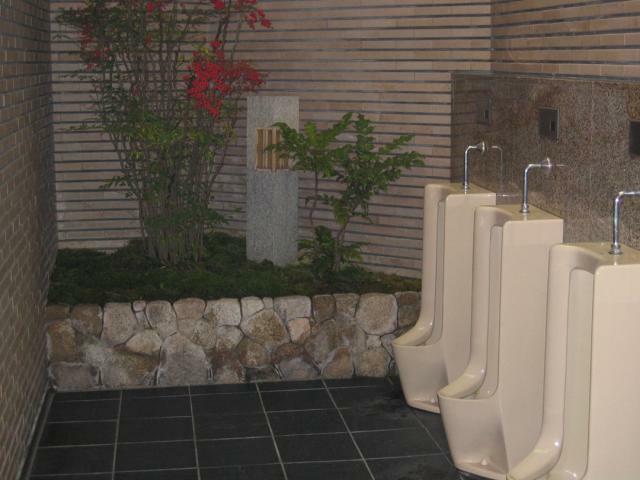 These public fixtures may be found in the coastal town of Echizen, Japan. This picture was sent in by MB. She writes: "The bathroom was complete with full lanscaping, zen fountains and the recorded sounds of birds chirping."